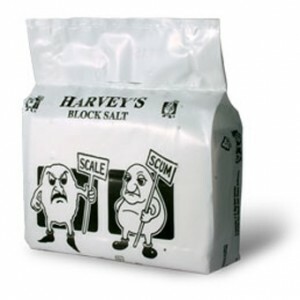 PDV Block Salt is produced from food grade quality salt and contains no insoluble substances or additives. This product is compliant with EN-973(A) for regeneration of ion exchange water softeners. Water Treatment (Block Salt Water Softeners). 2 x 4 kg blocks per recyclable plastic pack.